You and I should brace ourselves for a 15% (Peninsula Malaysia) and 17% (Sabah and Labuan) hike in electricity tariffs next year. Those are the averages of electricity tariff increase announced by the minister concerned few days after hinting that the government will raise Electricity Tariff by 10% to 20% in 2014 earlier. The government says the tariff adjustment is a step to restructure subsidies into a form that is more targeted and sustainable. Peninsular Malaysia will be up 4.99 sen/kWh (14.89%) from the current average rate of 33.54 sen/kWh to 38.53 sen/kWh. 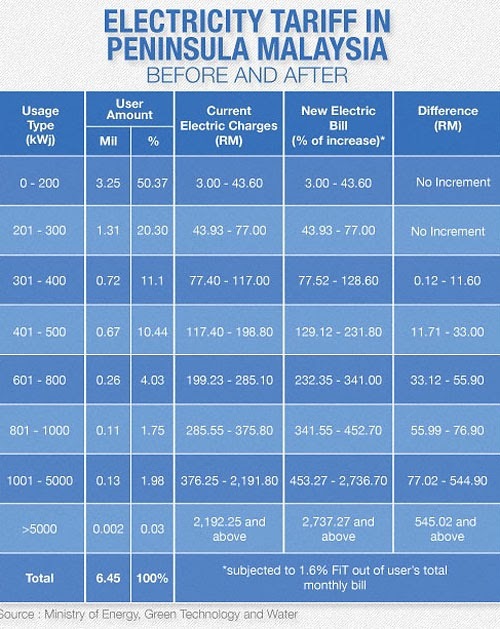 Sabah and Labuan will be up 5.0 sen/kWh (16.9%) from current average rate of 29.52 sen/kWh to 34.52 sen/kWh. Rates in Sarawak will not be affected because the electricity supply in the state is operated by state-run company, Sarawak Energy Berhad. There is a clear advantage in being able to control the utilities on your own, isn't it! The new rates will take effect from Jan 1, 2014. Note that 70.67% of consumers in Peninsular Malaysia and 62% of consumers in Sabah and Labuan will not be affected by the tariff hike. There will be no tariff increase imposed on the consumers who use electricity at a rate of, or lower than, 300kWh a month. Translated into absolute figures, 4.56 million consumers in the peninsula and 260,000 consumers in Sabah and Labuan will not be affected by this hike. Consumers whose electricity consumption is more than 300 kWh will be directly affected by the tariff restructuring. 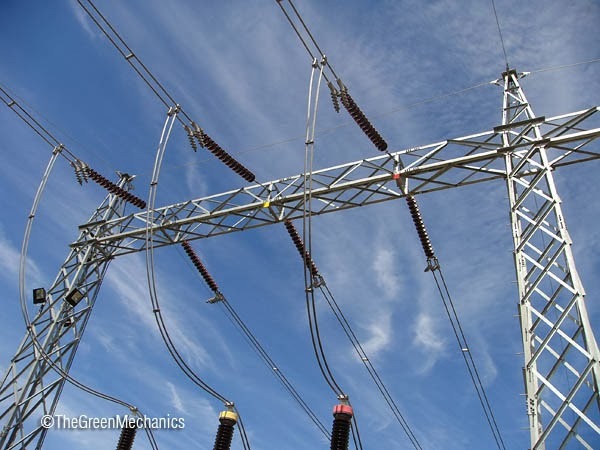 The group most likely to be affected are those whose electricity usage is between 301 to 400 kWh and 401 to 600 kWh. We will look at the electricity tariff restructuring implications on commercial and industrial users next. Can eating burnt toast cause cancer? Tablet computer sales losing steam? Are our ministers salaries too high? What is the oxygen level in a plane?